On December 21, 2012 I won’t be worried about the world ending. I don’t think some chaotic earthquake will happen or tidal waves that will wipe the coastline clean. No, what I am afraid are the days before that day. That’s what scares is when people believe the world will end and do whatever they want until that day because they think the worlds going to end. If you truly believe the worlds going to end, then you don’t give a damn about consequences. You would just do whatever and enjoy yourself until the world ends. People always get crazy in time of crisis. When 9/11 happened, they found a fire truck filled with jeans. They robbed a clothing store and put all the jeans in the fire truck. How mess up is that? People will riot. People will kill each other for stuff. Credit card purchases will skyrocket. Everyone will just blow their money on whatever because it doesn’t matter to them. Since they think the worlds going to end it doesn’t matter. I don’t think the world will end but something will happen. People being scared is bad enough. When people get scared they get stupid. When people get stupid, people die. So watch out before that day. I sure as Hell will. People are unpredictable in times of chaos. I wanted to compare 2 movies with similar plot lines. In both movies, the main character has to travel back in time to stop a terrorist from detonating a bomb. In both, the terrorists already blew up the bombs, but the characters must track down who the bomber is with futuristic technology and in the end find a way to transport them back in time to stop the bomber. In Déjà vu, Denzel Washington plays a detective who after the bomb blows off, is tasked to join a team and find the bomber. The team uses high tec satellites to literally look back days ago and track the bomber to the point where he lays the bomb. What they don’t tell Denzel is that the technology is a window into a few days ago so they are literally looking back in time. At the end of the movie, they find the bomber and arrest him. Denzel at the end finds a way to send himself back into the past to actually stop the bomber from blowing the bomb in the first place. He does this at the cost of his own life, but does it in 1 try (you’ll see why I put that in later). Source Code takes a different approach. 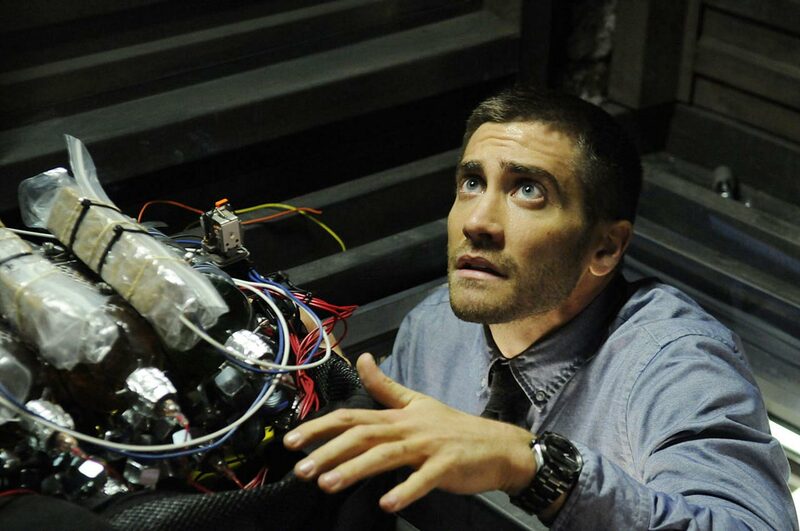 Jake Gyllenhaal’s character is a marine who was brutally maimed in a helicopter accident. He doesn’t know it, but he is strapped to a machine that lets him embody a person involved in a train bombing, similar to Denzel, he is tasked with finding the bomber before he strikes again. So they both have similar plotlines. The difference is, that in Source Code, Jake takes about 12 tries to figure out the who the bomber is. 12 tries….he just keeps blowing up before he find the guy. In the end, on try 13, he puts himself there again with the intent to stop the bomber. He does, because he had 13 freaking tries! 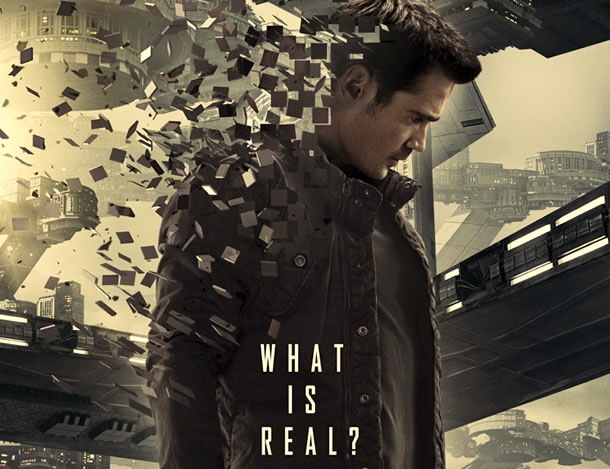 Déjà vu was a thousand times better than Source Code. The fact that it took Jake 13 times to get it right was ridiculous. Déjà vu gets a 4/5 while Source Code gets a 2/5. I’m a big Mark Wahlberg fan. So, when Contraband came out I had to go see it. There were a bunch of little problems I had with it, but overall it was a good movie. 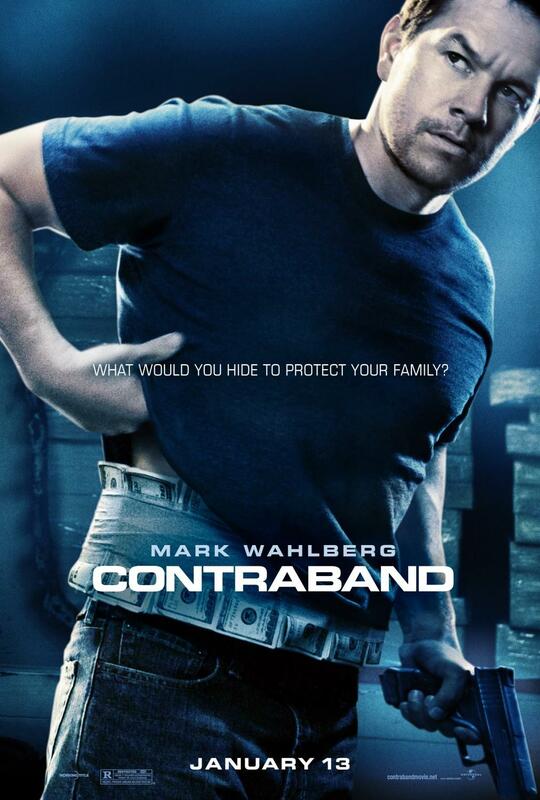 In this movie Wahlberg plays Chris Farraday, an ex smuggler who gave up a life of crime to start a family. The problem was his brother-in-law, Andy, didn’t. In the opening scene we see Andy on a boat dumping dugs off it as CBA officers seize the ship looking for drugs. Now Andy wasn’t smuggling the drugs for himself. He was getting them for Tim Briggs, a local gangster who has an extremely annoying voice. When Tim find out that Andy messed up, he beat him up and gave him a few weeks to pay him back. Since Chris is married to Andy’s sister, Kate, he has to help him out. Chris first decides to go to Tim and try to reason with him. Tim’s response is that he wants seven hundred thousand for not killing Andy. He gives Chris 2 weeks to come up with the money. That’s a lot to get in just 2 short weeks. So Chris does what he does best, smuggling. He gets a crew together and his plan is to go to Panama and get counterfeit bills to pay Tim off. Chris doesn’t take his best friend Sebastian (played by Ben Foster). Sebastian is a former smuggler and gave it up for what seems to be a more legal field of work in construction. The biggest problem I had with this movie was the progression of Sebastian’s character. He was cool and calm for the first half of the movie. He had Chris and everyone believing he was their friend. Secretly, he is better friends with Tim and the drugs Andy dumped into the ocean were his. So you have this long standing friendship between Chris and Sebastian and then we find out that its a lie? But back to Panama and the voyage there. Chris assembled a team of himself, Andy, Chris’s real friend Danny, and a few minor characters that just take up space on the screen. They board a cargo ship and plan to store the money there. First Chris decides to cut a hole in the cargo room wall and store the money there. This is a cargo ship filled with people; you’re telling me they can transfer thousands of dollars through the hall without anyone noticing? After a long voyage they get to Panama. Now I should mention that Chris had prior arguments with the captain of the ship, it’s pointless now, but it plays in later. Chris, Andy and Danny take some money and go to the place where their getting the fake money. The problem was the bills were printed on bad paper so they had to go to find a better supplier. They find themselves into the scary underworld of the Panama gangs. Where the head guy in charge, Gonzalo, has a reputation for beheading those who opposed him. Andy stays in the van with the money, while Chris and Danny go in and negotiate for the money. While in the van, Andy gets a call from Tim. Tim says for Andy to take the money and go to a local drug dealer and buy the drugs to replace the ones he lost. Tim also sends a picture of Chris’s son playing soccer as proof that he’s serious. Andy of course leaves without telling anyone and takes the money. Now obviously this causes a problem when Chris tries to pay the people and there’s no money. Gonzalo was planning on robbing an armored truck today and since Chris now owes him, Chris and Danny have to come along. They had a cool idea of instead of using masks, they guys would wrap duct tape over their face. It looks pretty cool when a group of duct tapped wearing thieves come out with machine guns and shoot the place up. Only Gonzalo, Chris and Danny survive. What Gonzalo pulls out of the truck is what appears to be a tarp and that’s it. We don’t learn what it is until the last 3 minutes of the movie. Gonzalo is killed by a stray bullet and Chris just dumps him out of the car and they drive to the boat. Andy is already on the boat and tells Chris about it when he gets back. During while all this is happening, Sebastian started doing a lot of hard drugs and tried to screw Chris’s wife. He pushed her and she hit her head on a table. Sebastian decides to wrap her up and dump her body in the construction site he works at. So long story short, Chris gets back to America and goes to deliver the bills to Tim. I don’t want to spoil how he screws Tim over and gets Tim arrested, but it’s pretty cool. To the fate of what happens to Chris wife, well you’ll just have to watch it to see. Overall I would give this movie a 4/5. Recently I saw the new Total Recall remake. To quote my dad, “I could not recall a worse movie” all puns aside this move was bad to say the least. At first I thought this was going to be a great movie. The original was pretty good. It had action, comedy, a twist, it had it all. So naturally I would think a remake, with new graphics and a new flow would be great. I was wrong by a lot. This movie had a typical flow that was predictable throughout it. It had a good action opening that didn’t reveal much, but caught your attention quickly. The bulky Arnold Schwarzenegger has been replaced with the better acting Colin Farrell. Colin’s character (Douglas Quaid) works in a robot factory. In the future robots are the police force. It’s a future movie, unlike the original this one takes place on Earth entirely and not on Mars. Earth, after major wars, had been split into 2 areas that are habitable. Nuclear war I think was the cause. Britain and Australia are all that remain. Quaid lives in 1 and works in the other. How does he travel there every day you ask? Through the center of the Earth of course. Yes, they had a train that travels down into the Earth and comes out the other side. Brittan is the rich part of the world, where Australia is the poor side. War is breaking out for some odd reason that I will explain later on. Quaid has been having bad dreams, which is the opening scene. He is being chased through a facility and captured. How does he deal with bad dreams? He goes to a place called Recall, which literally implants fake memories into your brain. A fake life is put into your brain…for some odd reason they think this is a good idea. When he does this, we find out he has already had that done, the cops come in and Quaid kills them all quickly. The biggest problem with this movie is the bad guys know where Quaid is always. Not one second does he have a chance to take a breath. After he kills everyone, he goes back home, where he wife tries to kill him, played by Kate Beckinsale. She is the toughest bad girl in the history of movies in my opinion. She is so awesome; she fights, shoots, randomly has a tough girl accent and never dies…at least until the end. I don’t want to spoil the whole movie, but we learn that Quaid had another life. Where he was implanted with a fake life. Quaid was a spy for Brittan I’m pretty sure. He was put in Australia to infiltrate the Australian…I don’t want to say they’re terrorist, but Australia is perceived to be that. So Quaid’s job was to find the Australian terrorist leader and tell the others. We find out that Brittan’s president is the bad guy and he wants to take his robot army to Australia to kill everyone. So Australia isn’t just the good guys, they are being framed to be terrorist so the invasion is justified. I am confusing myself writing this so imagine how confusing it is the watch. So everything that Quaid knows is a lie, he has a girlfriend fighting for Australia, the bad guy (including his wife) are always there and for some odd reason the 3 boobed chick only gets one scene. Yes you read that right, 3 boobed chick. On that note I will end this review of a horrible remake by giving it a 1 out of 5. This movie could’ve been so much better. It had all the elements to make a movie great but they failed miserably.